Trump has always been a grip-and-grin guy. His specialty being photo-ops that directly contradict reality. Consider yesterdays visit from South Korea's leader Moon to the White House. 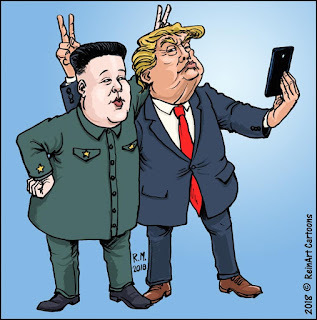 With cameras rolling, Trump praised North Korea's crazed leader Kim, and his great potential. Both leaders sat in chairs and smiled like it was just a matter of time before Kim came to the table and agreed to US terms. 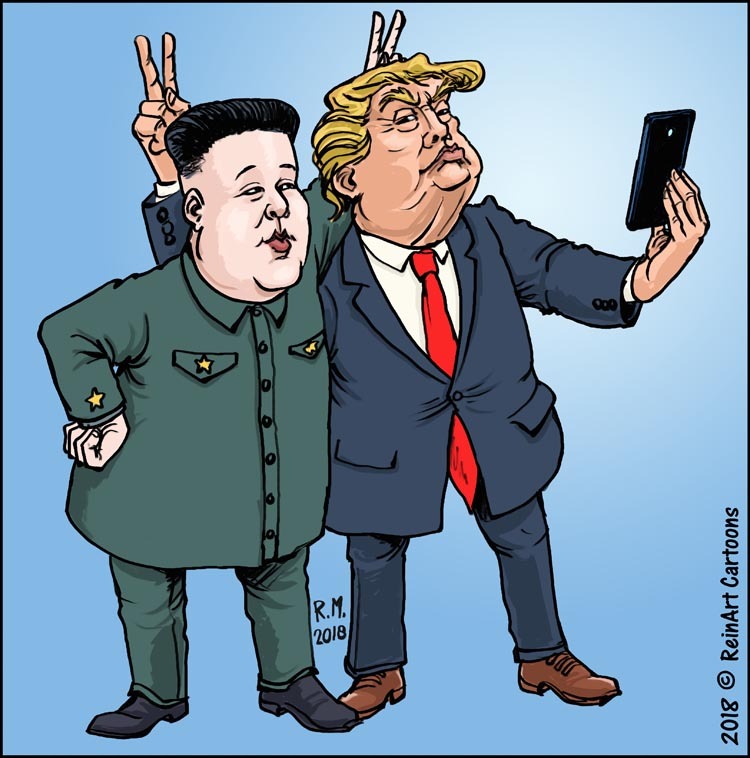 As Trump and Moon were talking about making peace with North Korea, Kim Jong Un was warning the world that a "severe blow" was coming to those sanctioning his country. In a party speech yesterday he urged his minions to continue with "self-reliance," signaling his determination to hold the party line in talks with Trump. This one example is what we've seen numerous times before, where Trump says one thing and the reality is something else entirely. Is it any wonder there's documented chaos in the West Wing? One hand doesn't know what the other is doing, and everyone kowtows to Trump's temper tantrums. Foreign policy? There is none. The reality star and lifelong grifter cares little for policy, rules, laws, or anything that doesn't fit his agenda.